We have previously proposed that pineal cysts (PCs) may result in crowding of the pineal recess, causing symptoms due to compression of the internal cerebral veins and central venous hypertension. In the present study, we compared clinical outcome of different treatment modalities in symptomatic individuals with non-hydrocephalic PCs. The study included all patients managed surgically for non-hydrocephalic PCs in our Department of Neurosurgery over a 10-year period. We applied a questionnaire to determine occurrence of symptoms before and after surgery, which allowed the use of a grading scale for symptom severity. Magnetic resonance imaging (MRI) biomarkers indicative of central venous hypertension were assessed before and after surgery. 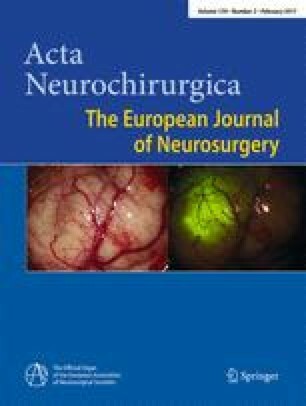 Relief of symptoms after surgery was most efficiently obtained by complete microsurgical cyst removal [n = 15; no (0/15), some (1/15) or marked (14/15) improvement], and to a lesser extent by microsurgical cyst fenestration [n = 6; no (2/6), some (4/6) or marked (0/6) improvement]. Shunt surgery was not successful [n = 6; no (5/6), some (1/6) or marked (0/6) improvement]. In all patients, the proposed MRI biomarkers gave evidence of central venous hypertension (PC grades 2–4). Microsurgical cyst removal provided marked symptom relief in symptomatic individuals with non-hydrocephalic PCs and MRI biomarkers of central venous hypertension. The hypothesis that PC-induced crowding of the pineal recess may compromise venous run-off and induce a central venous hypertension syndrome deserves further study. The authors thank Are Hugo Pripp, PhD, Department of Biostatistics, Epidemiology and Health Economics, Oslo University Hospital, Oslo, for statistical help during preparation of this paper. P.K.E. has a financial interest in the software company (dPCom AS, Oslo) manufacturing the software (Sensometrics Software) used for analysis of the ICP recordings. G.R. reports no disclosures. The current patient cohort was retrieved from a larger study of PC management within the department, approved by The Regional Ethics Committee, REK South-East (2014/636) and Oslo University Hospital (2014/8138). For this study formal consent was not required.